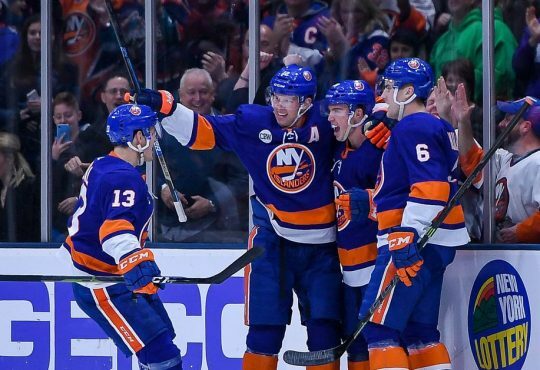 We’re less than 48 hours from the drop of the puck to start the 2016-17 New York Islanders season, and the excitement is contagious and the anticipation to see how the Isles follow up on winning their first playoff series in 23 years is at an all time high. 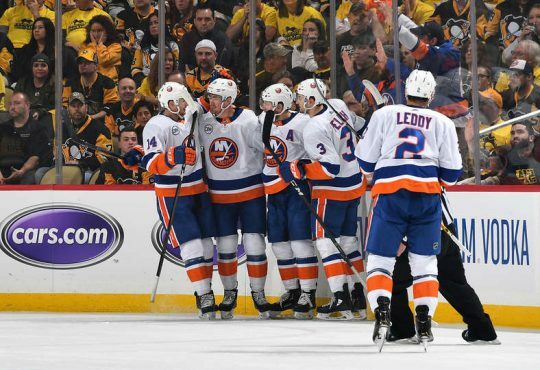 As said on the PTIsles podcast — this is not your older brother’s New York Islanders — it’s time to see the evolution of this team turn from playoff threat to Stanley Cup contender. Here are ten questions that must be answered this season. 1. Will John Tavares finally win the Hart Trophy? The Islanders captain is already a two-time nominee and has become one of the best players in the league. His numbers have improved nearly every year since being drafted in 2009, and even though they dropped a little last season, he turned it on late and single-handily brought his club to the second round. With a new line-mate in Andrew Ladd and him in mid-season form from his performance in the World Cup of Hockey, Tavares should be poised to finally take home the Hart. 2. Will Jason Chimera really replace Matt Martin? This one will be interesting to watch. 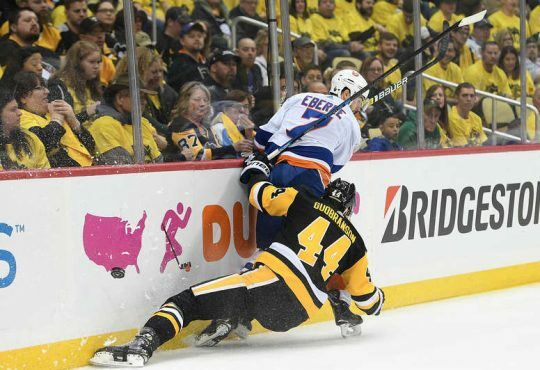 Martin was the heart and soul of the Islanders the past three seasons and was beloved on and off the ice; Chimera will have his hands full in trying to fill that role. Offensively, Chimera is light years ahead of Martin, but the in your face style that Martin brought each and every night will be “Chimdawg” toughest job. If assigned to the fourth line, Chimera needs to create chemistry with Casey Cizikas and Cal Clutterbuck for the Isles to have success. 3. Will the power play finally take the next step? This is a question that seems to come up with the Islanders more than a few times. Ranked 17th last year and struggling in seasons’ past, the Isles man advantage will have a whole new look this year. Shooting the puck more instead of passing should be the name of the game this season as well as having Anders Lee or Brock Nelson plopped in front of the net. When Ryan Pulock makes his way back or Johnny Boychuk is on the point, the five-man unit must set up for the big shot. 4. Is this the year Josh Bailey breaks out? Bailey scored his two biggest goals in the playoffs against the Lightning last spring and seemed to play his best when under pressure. The 27-year old is entering his eighth season with the Islanders but has never scored 20 goals or notched 40 points in all that time. He is a solid defensive forward, and from time to time shows flashes of offense. With young forwards making impressions and gunning for a spot on the roster, “Ace” Bailey as Stan Fischler calls him will have to push himself this season to exceed expectations. 5. How will Thomas Hickey build of his season from a year ago? Thomas Hickey really flew under the radar last year. He was a +9 and was the team’s best defensemen down the stretch of the season and in the playoffs. He came of age in the playoffs scoring clutch goals and throwing bone-crushing hits. Assuming Hickey is the Isles number four d-man this year, more defensive responsibilities will be on his plate this year. On the offensive side, The Calgary native has ten goal potential after potting six in 2015-16. 6. Is this the last chance for Ryan Strome? Strome showed in the pre-season he has a grudge against himself after a nightmare 2015-16 season. The 23-year old never responded from his demotion to Bridgeport and was benched twice in the playoffs. He got his bridge deal for $2.5 million dollars, but he still has a ton to prove to the coaching staff and the organization that he needs to be here for the future. The team is putting a lot of faith in Strome to repeat his performance from two years ago, and if he doesn’t, he could be on his way to greener pastures. It’s make or break for Ryan Strome in 2016-17. 7. Is this the welcoming party for Mathew Barzal, Anthony Beauvillier and Joshua-Ho Sang? As we know Barzal and Beauvillier will be starting with the team either for nine games or more, but Josh Ho-Sang is right behind them to see NHL action this season. We’ve seen in the pre-season how exciting all three of these young men are and hopefully will be. 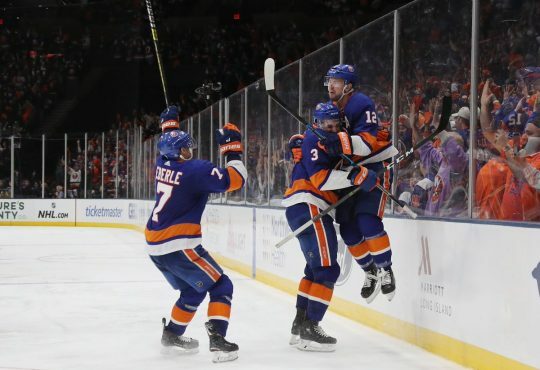 With the some of the Isles forwards getting up there in age, all three have the potential with the skill and speed they possess to have an immediate impact. 8. Will Johnny Boychuk bounce back? Johnny Boychuk took a step back last year after an impressive first season as an Islander in 2014-15. His play declined throughout the year — and was extremely noticeable in the playoffs when he couldn’t handle the Panthers or Lightning speedy forwards. Boychuk won’t be depended on as much in the past solely because he won’t be a part of the first d-pair which could help him greatly. He has a great attitude and is one of the leaders in the room which still makes him a valuable asset. 9. Will this team know its number one goaltender by mid-season? Jaroslav Halak, Thomas Greiss and Jean-Francois Berube will all share the Islanders net for the second season in a row. But with a crowded net, there is still uncertainty as to who the team can depend on for 50+ starts. This team’s chance of making the playoffs for a third season in a row depends on the situation in the goal. 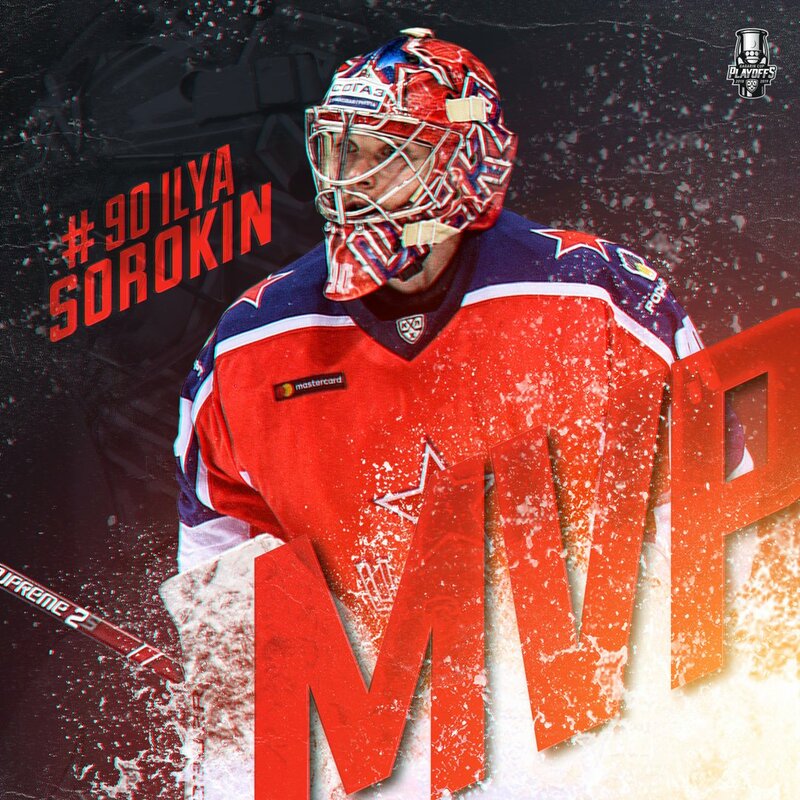 Each goalie has a quality the team appreciates and will hopefully exploit. 10. Is this team a Cup contender? When you win your first playoff series in 23 years, it’s a step forward. Now it’s time for winning to be the only option. 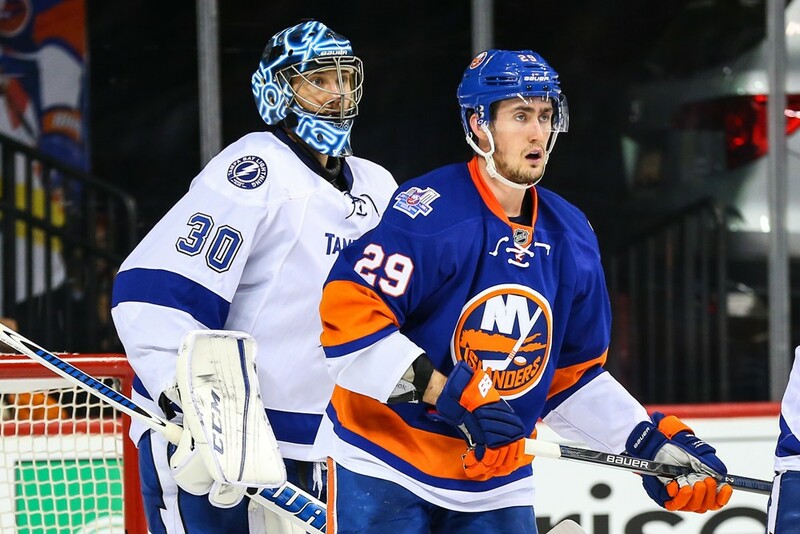 The East is getting tougher and tougher and it will not be easy for the Isles to go through. This year’s version of the Islanders has depth, skill, a solid blue-line, and strong offense led by Tavares. A whole list of things will need to go right this year including The Big Three (Nelson, Lee, Strome) turning their games up to an entire different level. For the way this team was assembled, a possible Stanley Cup Final appearance is not improbable.